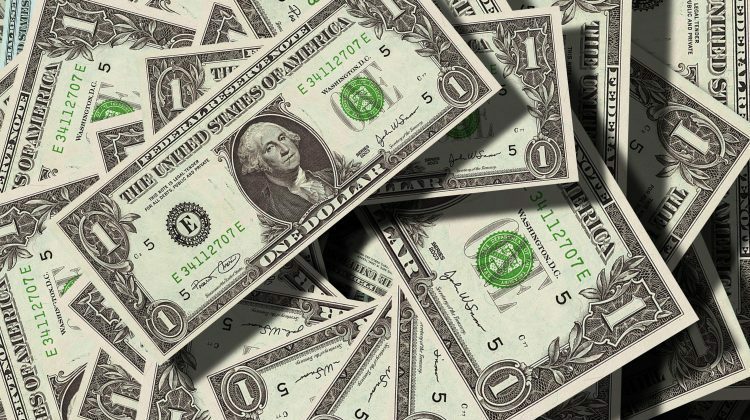 Question: Are there actually online surveys that pay cash? Follow-up Question: Are there a ton of crappy, spammy, terrible online survey sites out there that send you a million emails, sell your personal information, and generally aren’t worth your time? So how do you find the legitimate survey sites that pay you money? Most of those articles will give you a huge list of survey sites and tell you that you should download all of them. And you know why? Because they get a commission for every single one of them! Even though a lot of those survey sites are a waste of time at best, and a scam at worst. I recommend signing up for both Survey Junkie and Swagbucks at the same time. Between the two of those, you should be able to easily make $100 per month if you do a few surveys every day! I don’t hold it against other bloggers that they want to get paid for what they do. Blogging takes a lot of work, and affiliate commissions from survey sites help pay the bills. Sign up for at least 5/10/20 paid online survey sites so you have the best chance of earning the most money! You can make $1000+ a month taking online surveys for cash while in your pajamas on the couch! I have news for you. Taking online surveys is not a ticket to endless wealth. Sure, you could probably make $1000 a month if you made it your full time job (and worked a little overtime). But if you have that much time to fill, there are a lot of better ways to make money. Go drive for Uber, or mow lawns in your neighborhood, or heck, working at McDonald’s is probably a better option than taking surveys for money full time. Online surveys typically pay about $4-7 an hour. There are certainly some outliers (if you get lucky and get picked for the right survey you can make $20-50, but it is rare). You’re probably not going to do more than an hour of surveys a day. If you’re the typical busy professional or student, you only have little bits of time during the day. You have a lot of dead time during the day. Heck, I’m so addicted to my phone, that even while I’m standing in front of the microwave for less than a minute waiting for my lunch to heat up, to check my Facebook feed, or email, or whatever. The best way to use paid online survey sites is during those little bits of downtime during the day – while you’re on the train on the way to work, or standing in line at the grocery store, or waiting to pick the kids up from school. Even better, you can multi-task while you’re watching TV. It doesn’t take a lot of brain power to answer survey questions, so if you watch an hour of TV at night to wind down, you can earn a little money while you’re sitting on the couch. 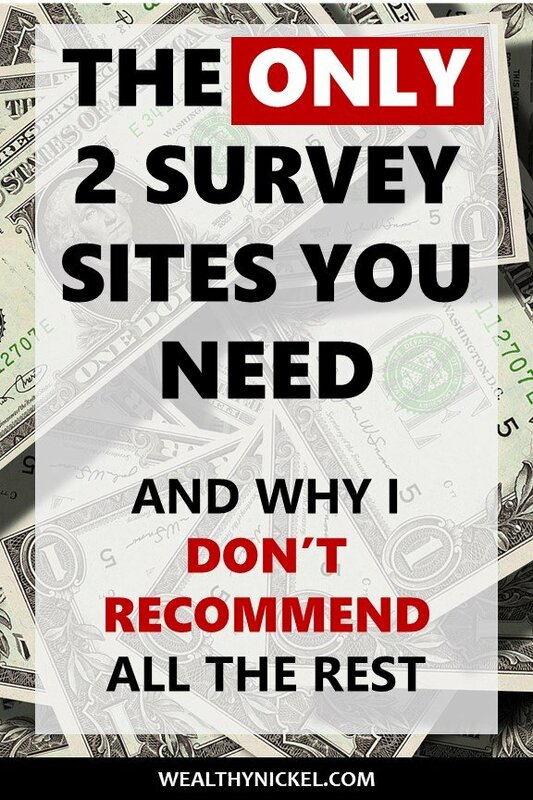 So if taking surveys isn’t your full time job and you want the highest-paying, most flexible, and easiest to use paid online survey sites, these are my recommendations. Don’t bother with all those other sites, just download these two and start earning money! I have tested both, and they are legit, and offer pretty much all the surveys I’ll ever want to take. Survey Junkie – This is one of the biggest survey providers out there, and the one I recommend everyone try. There are always surveys available to take (unlike some other sites), so you’ll always have an opportunity to make some extra money. One thing I like about Survey Junkie is that even if you answer a few preliminary questions and don’t qualify for a particular survey, they’ll still give you a few points just for trying. Swagbucks ($5 sign-up bonus) – Swagbucks is much more than just a survey site, but one of the main ways to make money is through surveys. I like that you can also earn points through watching videos, playing games, or surfing the web through the Swagbucks portal. Sometimes it’s nice to have a little variety. Disclaimer: If you sign up with my links, I will get a small commission. But like I mentioned above, I’m trying to give you the BEST sites out there, not get you to download 50 apps and collect 50 commissions. Awesome advice, I think there are far too many survey sites out there. You simply need to find one or two that you can make some extra cash with and focus on those. These two are the largest with the most volume and optionality.